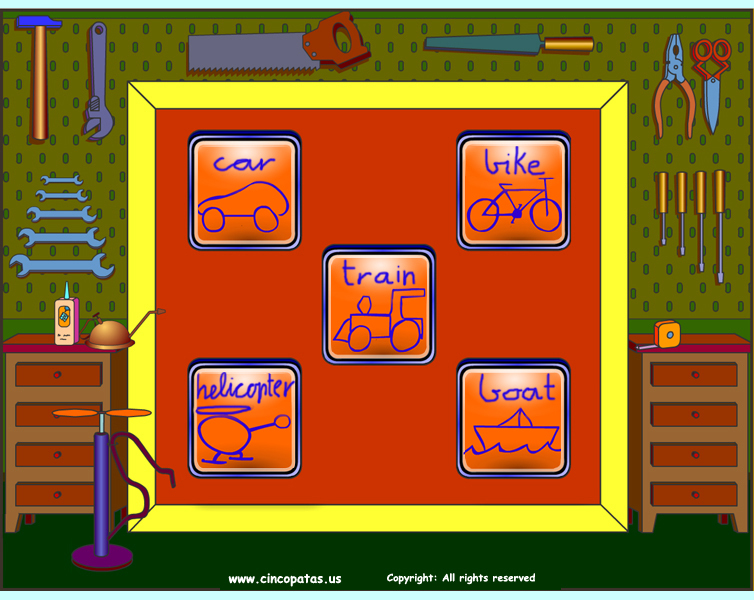 At the moment, in the workshop are these games: a bike, a car, a boat, a train, a helicopter and a car. The idea is for the player to follow a logical sequence that allows the assembly of the vehicles. To end, corresponding to the didactic intention of the web page, it is shown how each of them really works.